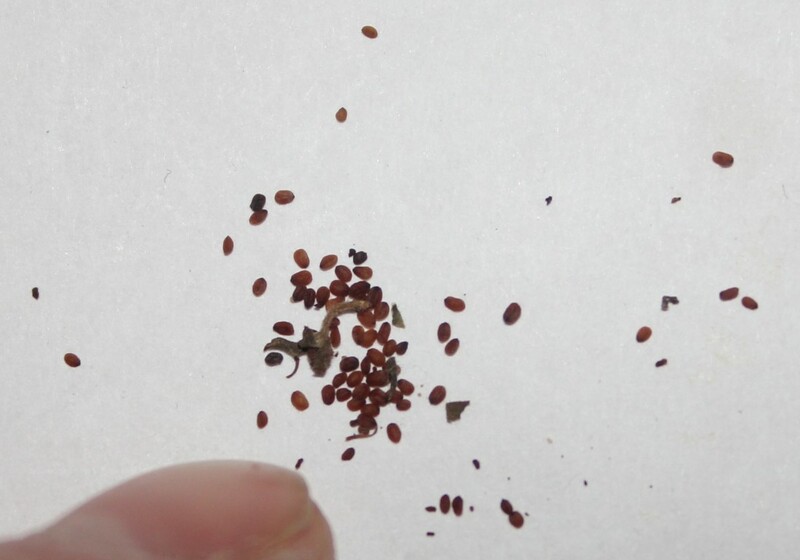 Speedwell (Veronica) seeds germination starting from day 18. 婆婆納種子第18天開始陸續發芽. 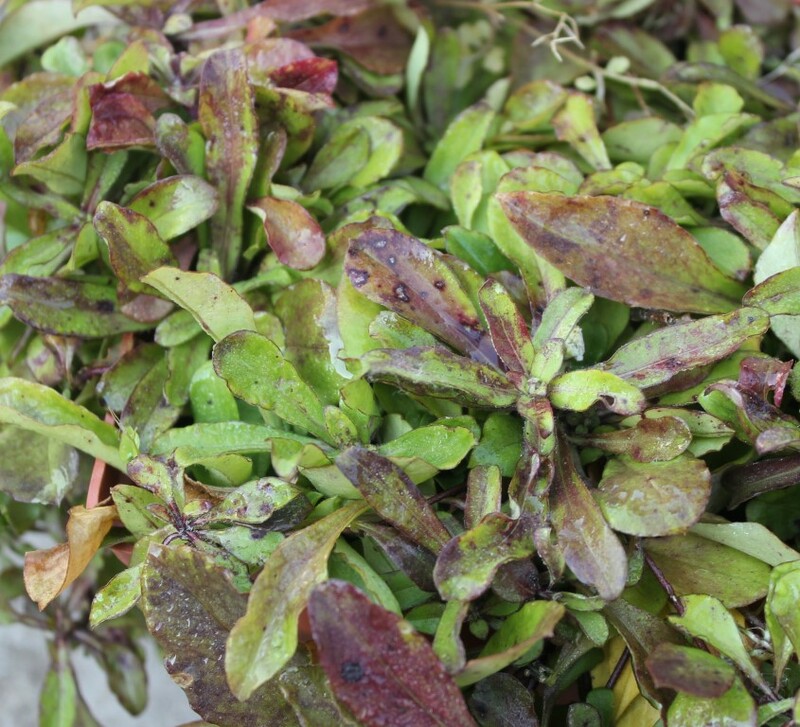 This plant usually can be propagated by dividing plant clumps, stem cuttings or seeds. Best time to do so is in late fall/winter and the second best time is early spring. I have tried direct sow but with poor result. 1.In a re-sealable bag fill with some moist potting soil or water moss and current year harvest viable seeds. 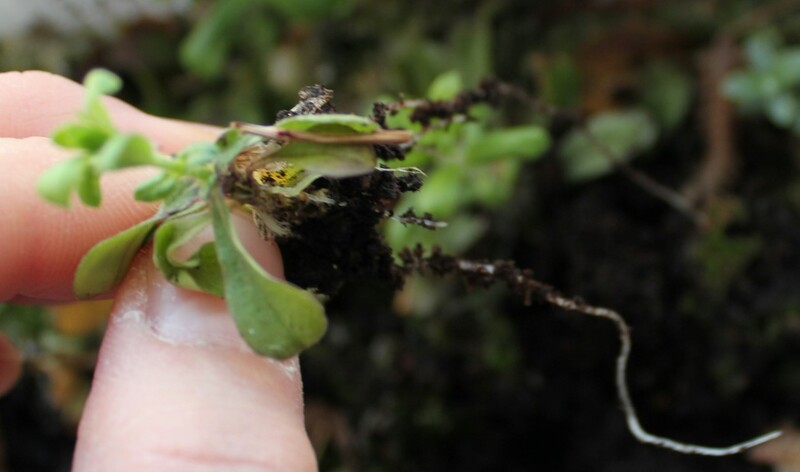 Moist has to be when squeeze the soil or water moss, water will drip out slowly. Seal the bag and put the bag in the warm dark location. 2.Check and open for fresh air daily. Keep soil moist until seeds germinated, around 2-3 weeks. 3.After germination, keep the pot in partial shade, keep seedlings moist is the key. You can transplant seedlings to small pot individually or in the ground when they have 8 leaves. Apply fertilizer and place them in full sun location. Keep seedlings moist. Growing from seeds they do flower fast almost late the year or next year. 3.出芽後讓小苗們在半日照處生長. 等很快會開始長出本葉8片,即可換盆或地植. 開始施肥,改全日照. 保溼很重要. 從種子到開花很快,只須當年年底或隔年. 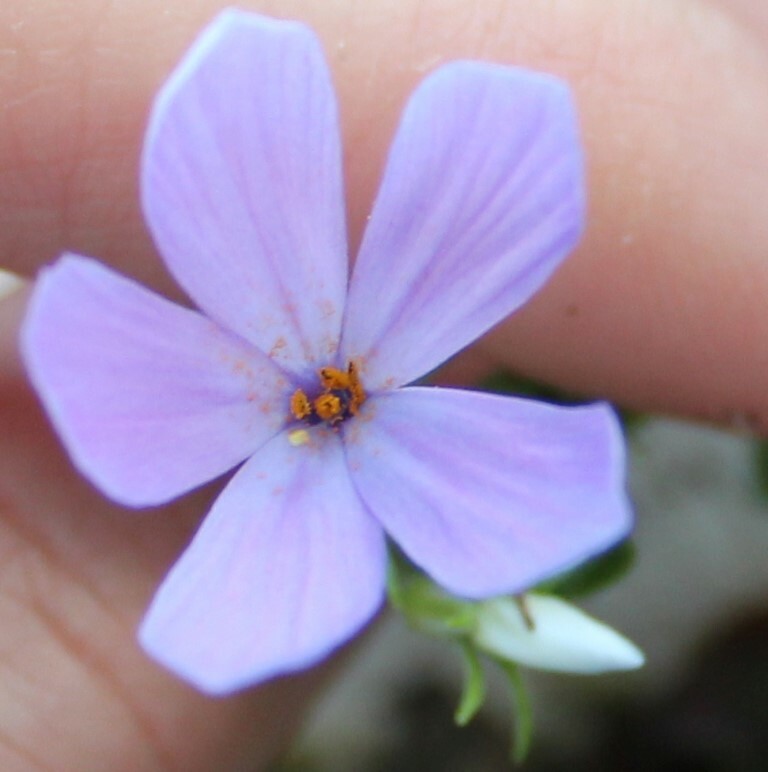 The flower language of Veronica (Speedwell): Fidelity. Creeping phlox(Phlox stolonifera ‘Sherwood Purple’) off flowering season is low mound, only 1″-2″ height of evergreen foliage. 匍匐性福祿考不開花時只有貼地的一兩吋高,葉片常綠. 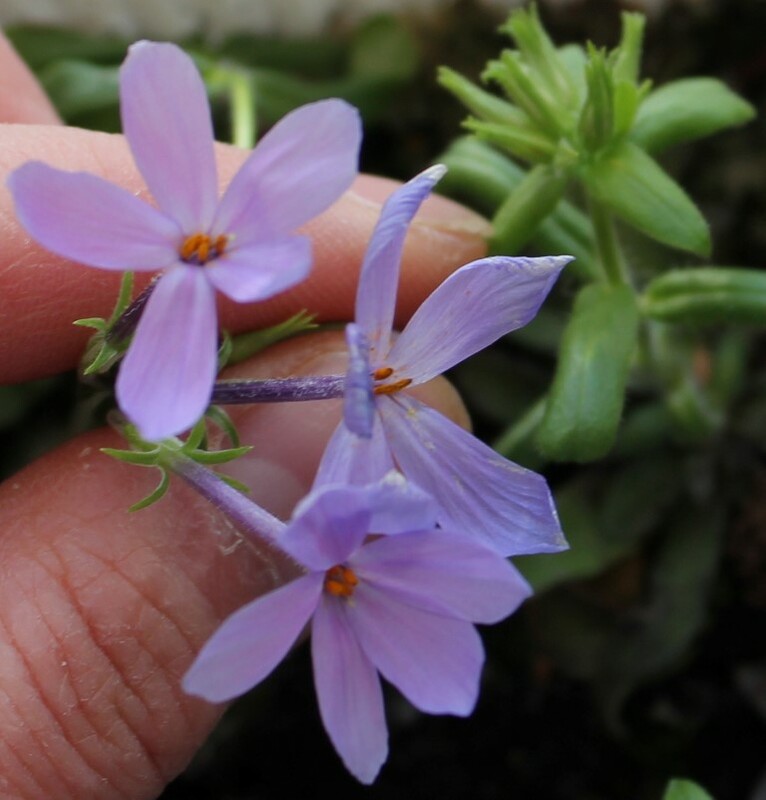 Creeping phlox(Phlox stolonifera ‘Sherwood Purple’) stem cutting takes root. 匍匐性福祿考發根的扦插苗. This is a medium to fast growing evergreen groundcover. 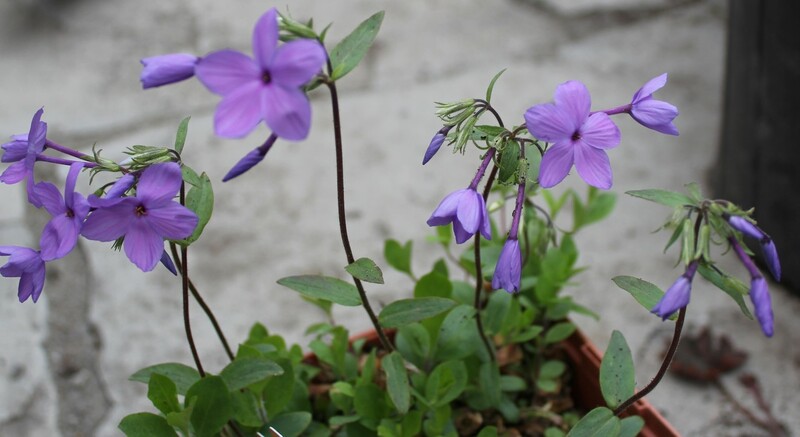 In spring, it produces erect flower stems which bare purple fragrant flowers. Flowers are good for cut flower. Flowers attract butterflies. 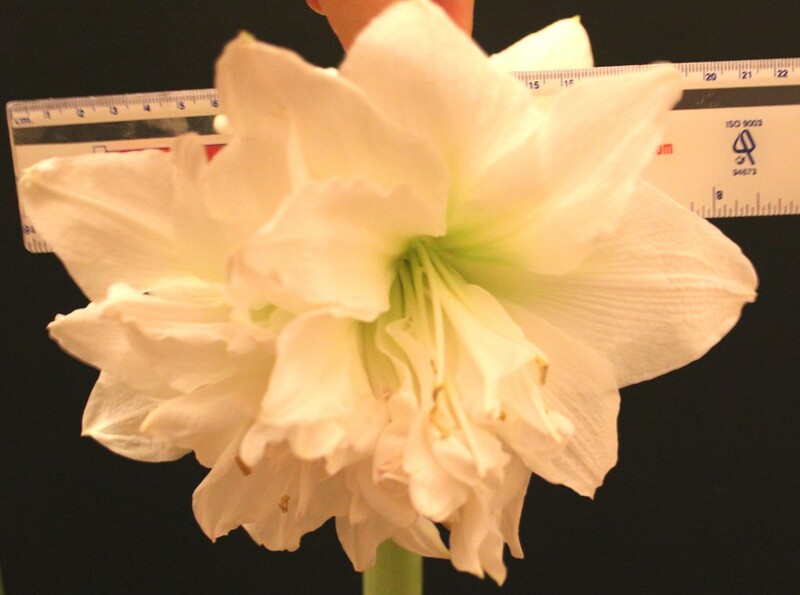 Although off flowering season it is only 1″-2″ high. Tolerant light foot traffic. 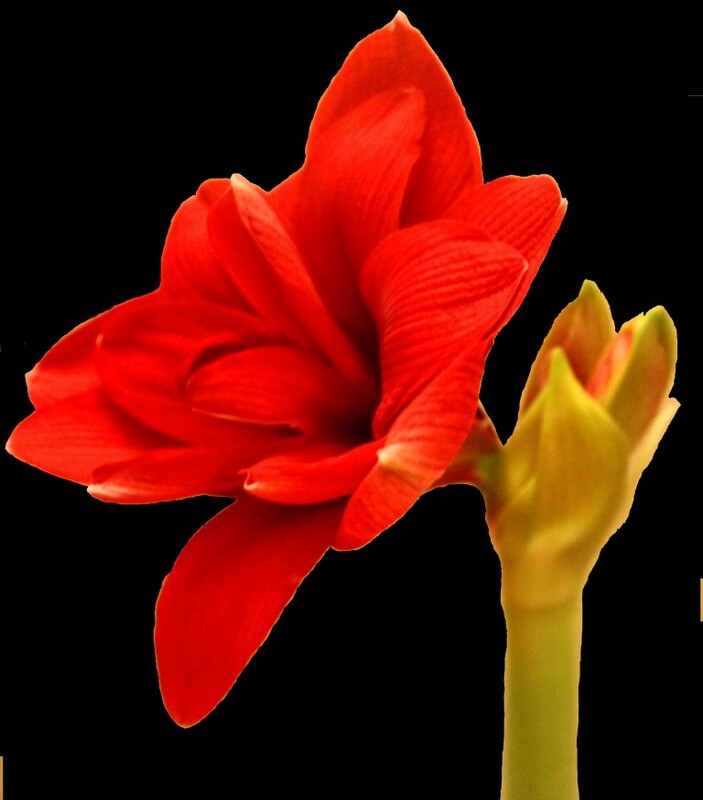 It prefers full sun to partial shade location in moist soil. Drought tolerant once established. Very hardy and easy to grow. Mature size: 1″-10″(H) X 2′(W). Very winter hardy. USDA Zones:2-9. Easy to propagate by cuttings or dividing plant anytime. The other variety Phlox stolonifera ‘Blue Ridge’ come with blue flowers. 這是生長快速的常綠多年生地被植物. 不開花時是相當低矮的,僅有1-2吋高,能耐偶爾的踩踏. 春天會抽出花莖變高,開紫色有香味的小花. 花吸引蝴蝶. 花適合切花. 喜歡全日照到半日照的環境,偏濕潤的土壤. 非常強健耐寒. 成熟株高1-2吋(不開花時)到開花時約有10吋高,寬幅達2呎. 繁殖方式為分株或扦插,全年皆可繁殖. Phlox stolonifera ‘Blue Ridge’則是藍色花. 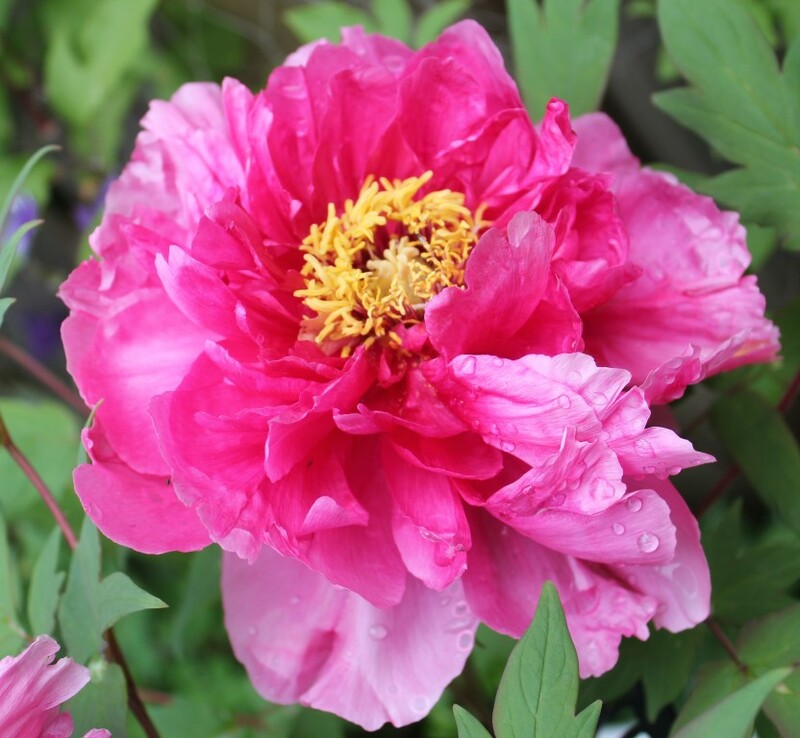 Tree peony flower (Paeonia ‘Houki’)) 牡丹花’芳紀’. Tree Peony seed pods. (Paeonia) 牡丹種莢. Tree peony seeds (Paeonia) 牡丹種子. 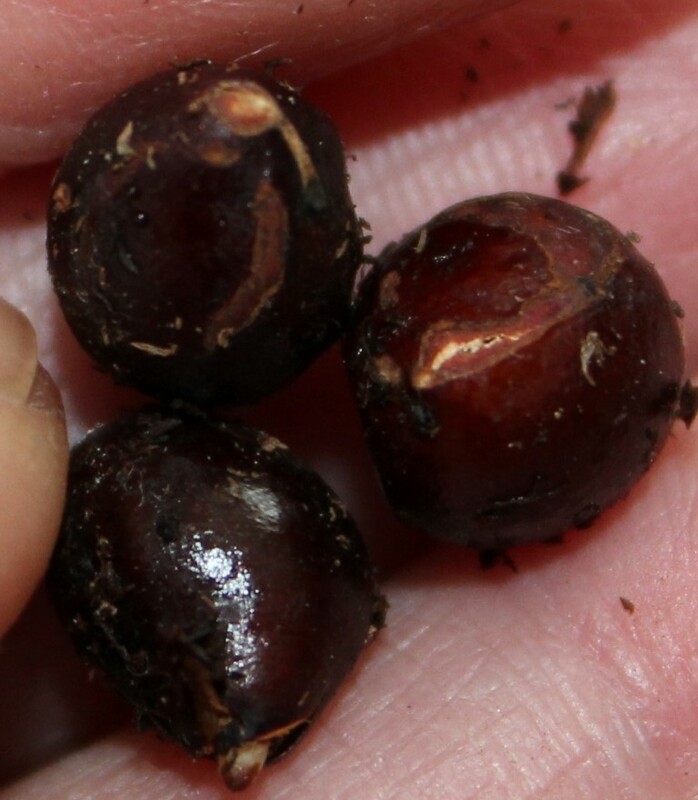 Tree peony seed germination. (Paeonia) 牡丹種子(‘芳紀’X’連鶴’)發芽. How to grow tree peony / garden peony from seeds (Paeonia) 牡丹/芍藥種子孵法–seeds germination took a year! 種子居然花了1年時間才孵出! It is not hard but it requires time and patience! If lack of time or patience, I will suggest you considering buying mature plant in late summer or late fall when garden centres and nurseries have big sale. 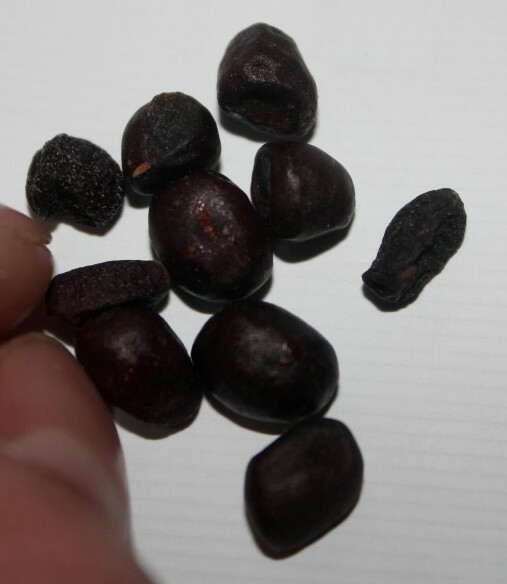 Even fresh seeds do not guarantee they will sprout in the next spring/summer. 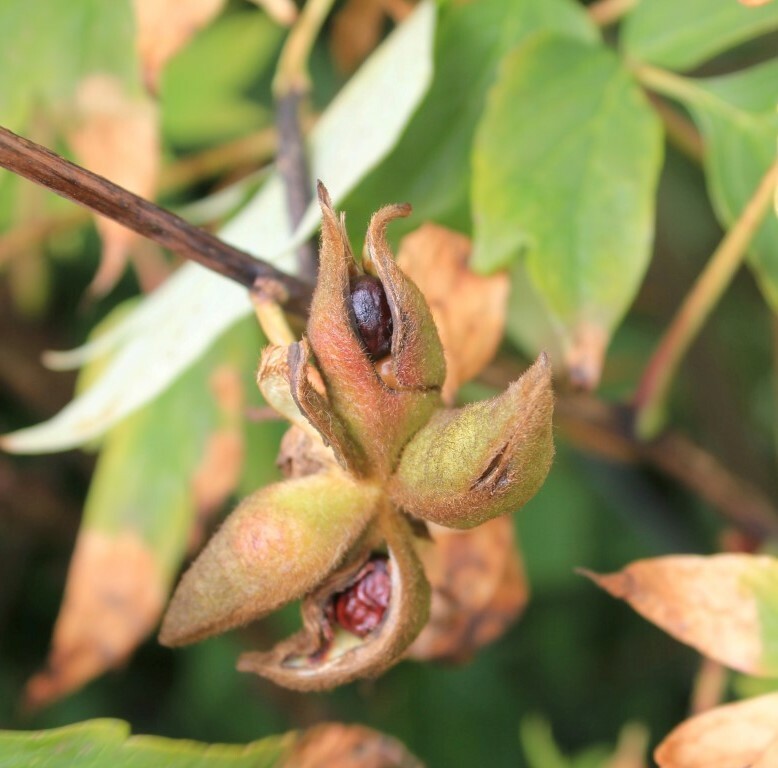 I am in USDA Zone 6, my tree peonies do not set seeds until mid/late summer. 孵法不難不過需要耐心等待! 倘若你不是很有耐心我建議你在秋末減價時去買開花株來種. 因為即便是新鮮的種子也不保證種下後會在隔年春天發芽. 有時會推遲更久. 我所在的地區不算是很冷的地區,它們的種子成熟的時間點在仲夏和夏末這段期間. 1.These seeds will need to sand or file off a bit the hard shell first. 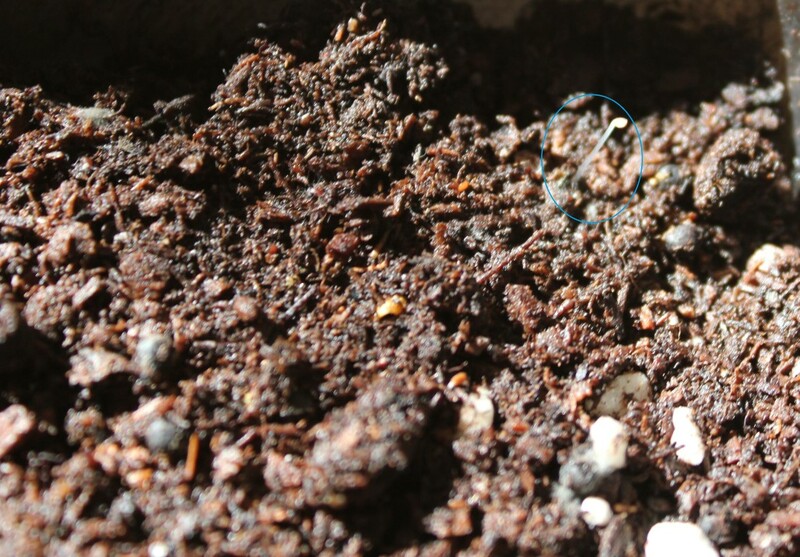 2.Soil must be moist but not saggy, sterilized soil or growing medium for 1.5-2 months then seeds will germinate. I did not refrigerate seeds at all. 3.I prefer to let them stay dense together until they are sprouting then pick the sprouting seeds up for planting individually. The fresh seeds will germinate faster than older seeds. If your tree peony setting seeds, better do it before drying them for storage. The growing rate will be lot of higher and faster. 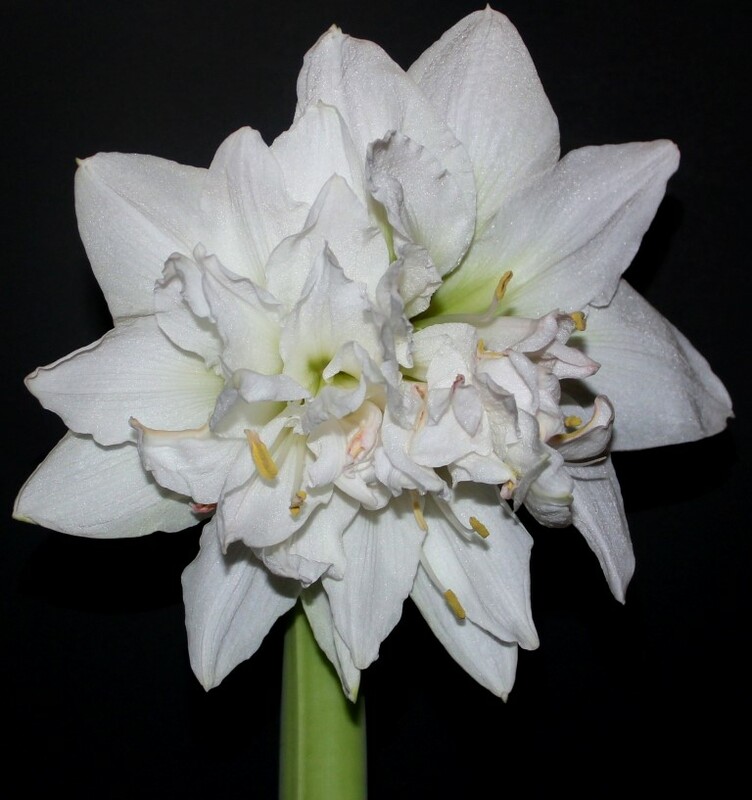 Double Amaryllis ‘White Peacock’ (Amaryllis) flower size is 22cm in diameter! 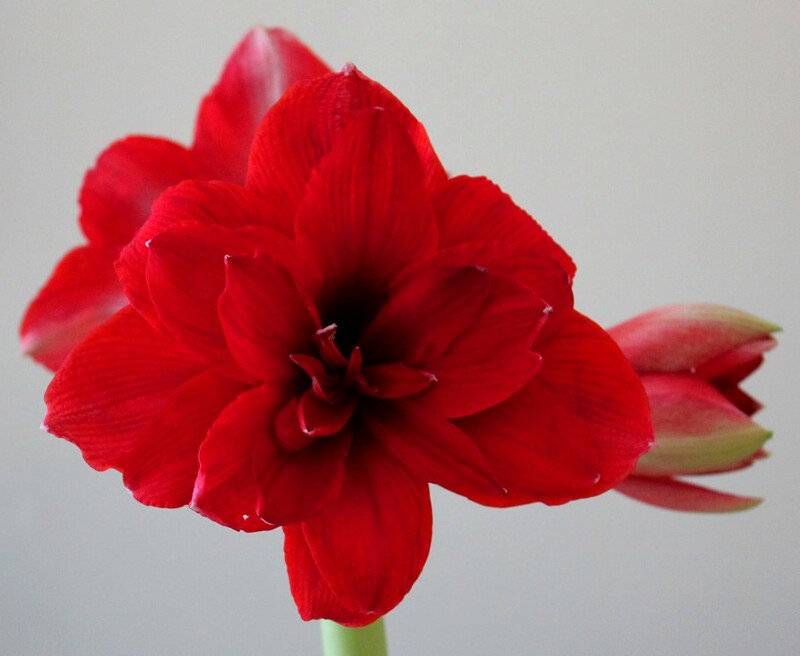 This double Amaryllis is tender perennial flowering bulb. USDA Zones: 9-11. 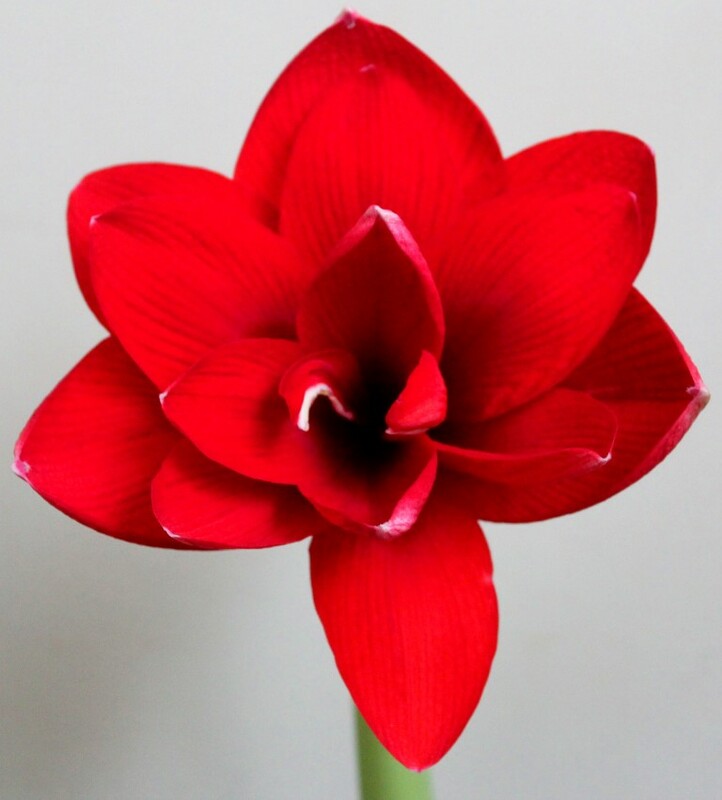 It is very easy to grow indoor from large bulb, its triple petaled flower has luxury look. Sometimes flower forms even many layers of petals. Excellent for cut flower! After flowering the plant will grow wide, slender leaves. You can propagate the plant by slicing the bulb as an orange, just remember to sanitize the sharp knife and make sure each slice with a bit of root base. 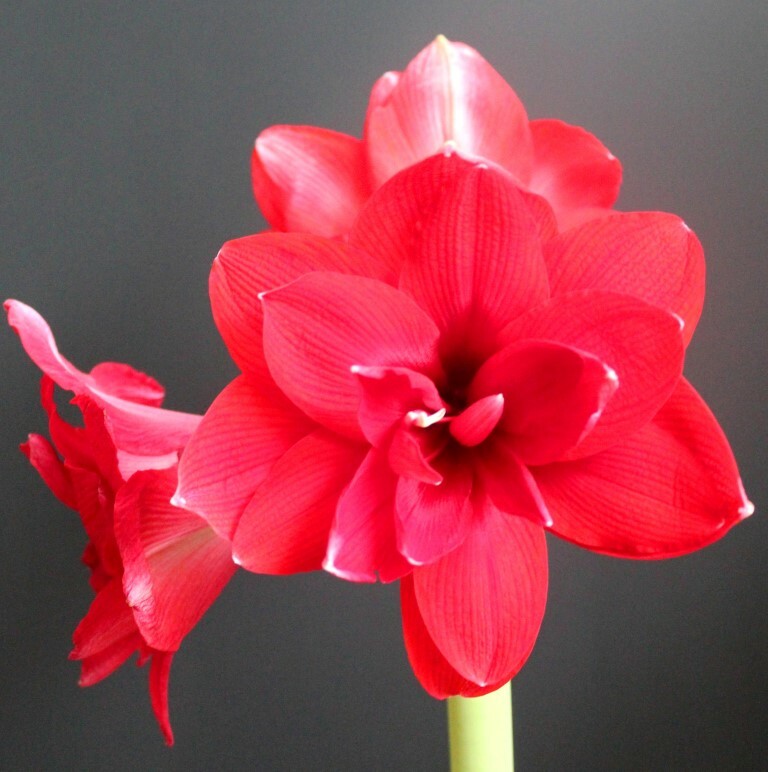 When weather is warm you should plant the bulb outdoors for bulbs to grow larger. 花謝後剪去花莖,它會長出長長寬寬的綠葉. 可以像切柳橙一樣的方式來繁殖球根. 不過利刃要消毒,要確定每塊都帶有能長根的根部. 陰乾傷口就能種植. 天氣溫暖時可以將植株地植或戶外栽種在大盆中,讓球根可以長大. 最好是全日照或半日照處,排水良好的土壤. 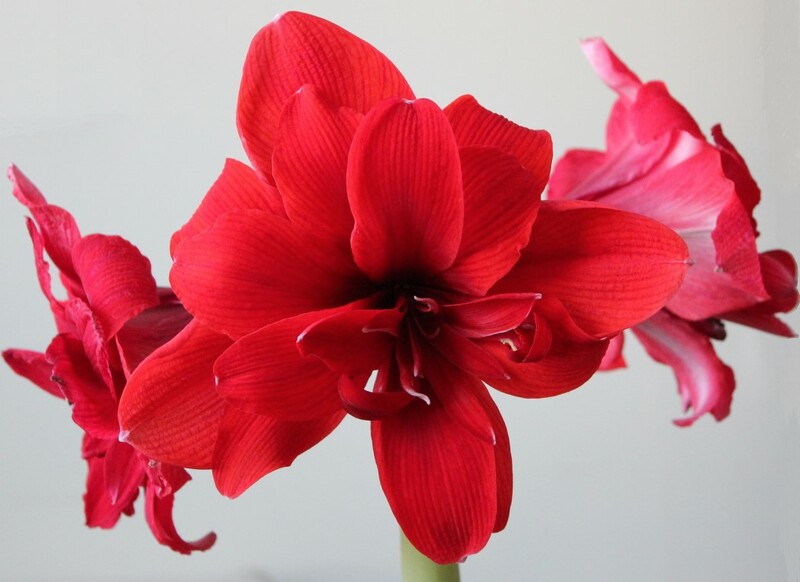 This double Amaryllis is tender perennial flowering bulb. USDA Zones: 9-11. 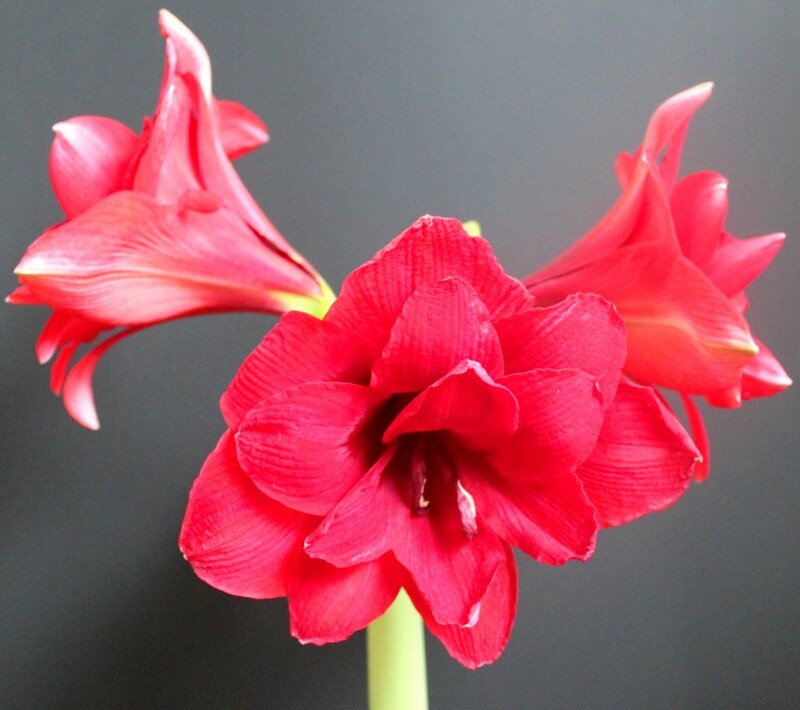 It is very easy to grow indoor from large bulb, its triple petaled flower has luxury look. Sometimes flower forms even many layers of petals. Excellent for cut flower! 重瓣的孤挺花並不耐寒,但是它是很容易栽種的多年生球根花卉. 三倍體的花朵有時花瓣會更多層,很華麗璀璨! 是上選的切花花材! After flowering the plant will grow wide, slender leaves. You can propagate the plant by slicing the bulb as an orange, just remember to sanitize the sharp knife and make sure each slice with a bit of root base. 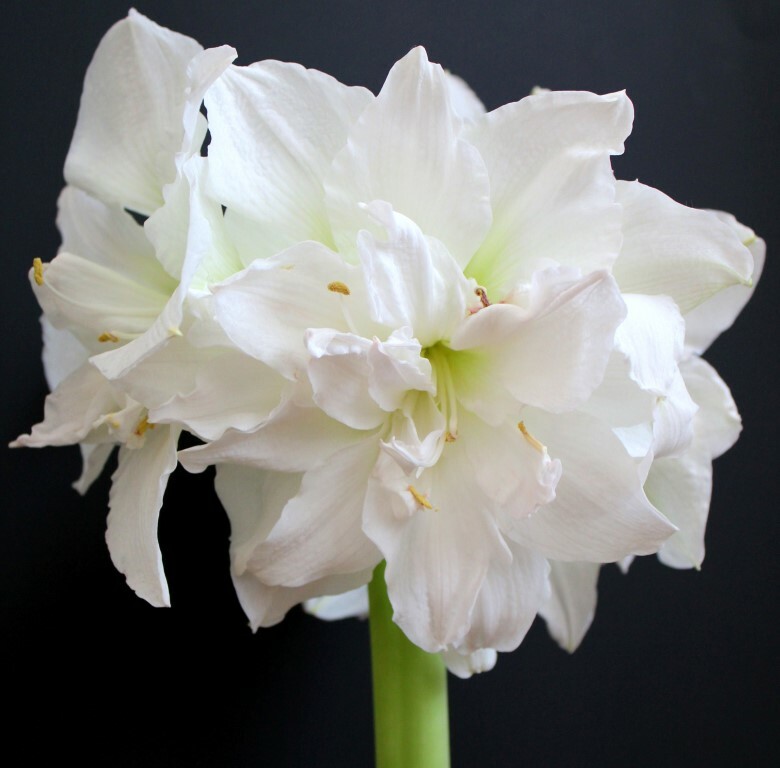 When weather is warm you should plant the bulb outdoors for bulbs to grow larger. 花謝後剪去花莖,它會長出長長寬寬的綠葉. 可以像切柳橙一樣的方式來繁殖球根. 不過利刃要消毒,要確定每塊都帶有能長根的根部. 陰乾傷口就能種植. 天氣溫暖時可以將植株地植或戶外栽種在大盆中,讓球根可以長大. 最好是全日照或半日照處,排水良好的土壤. English Lavender (Lavendula angustifolia) flowering.英國薰衣草的花. White English Lavender (Lavandula angustifolia ‘Coconut Ice’) 白花英國薰衣草. 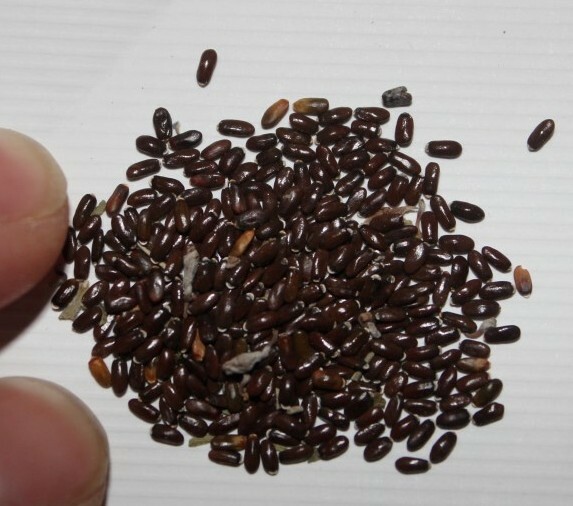 English Lavender seeds (Lavendula) 英國薰衣草種子. White Lavender seeds germination. 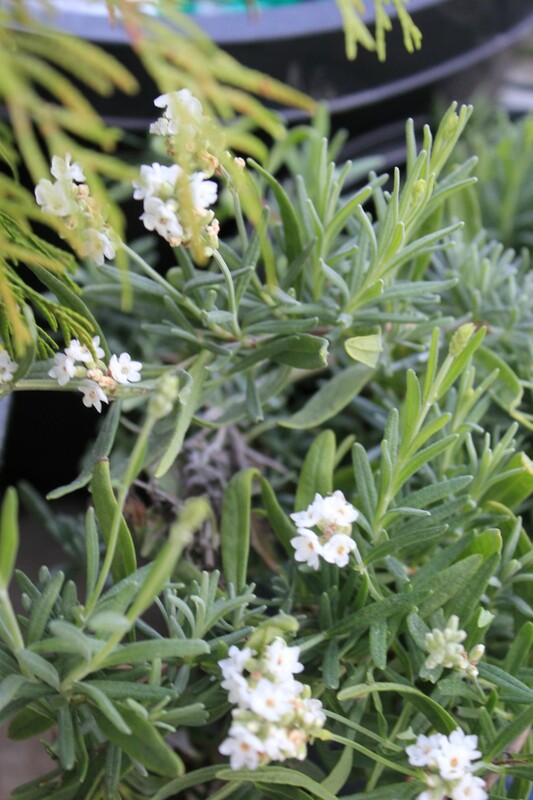 (Lavandula angustifolia ‘Coconut Ice’) 白花英國薰衣草種子發芽了. 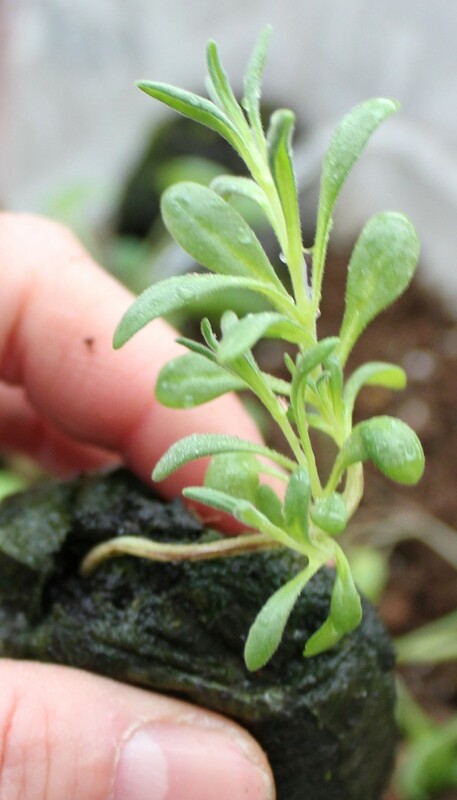 White English Lavender seedling. (Lavandula angustifolia ‘Coconut Ice’) 白花英國薰衣草小苗. 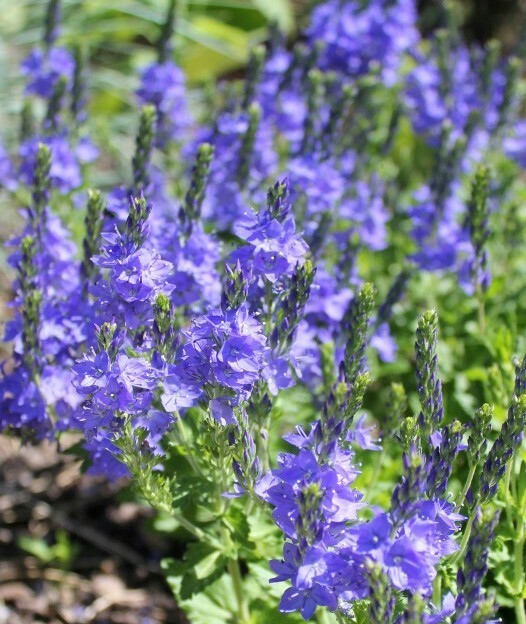 This popular fragrant perennial herb is very beautiful and hardy. It is very easy to grow in full sun to partial shade location. It flowers large amount of small purple flowers from late spring to frost. 1.Fresh seeds in moist but well drained soil for 4 days. 2.Pick germinated seeds and plant them in separate pot individually. Partial shade. 4.Transplant to bigger pot or plant them in the ground when plants start to branch. Full sun. Lilyturf flowers in fall. 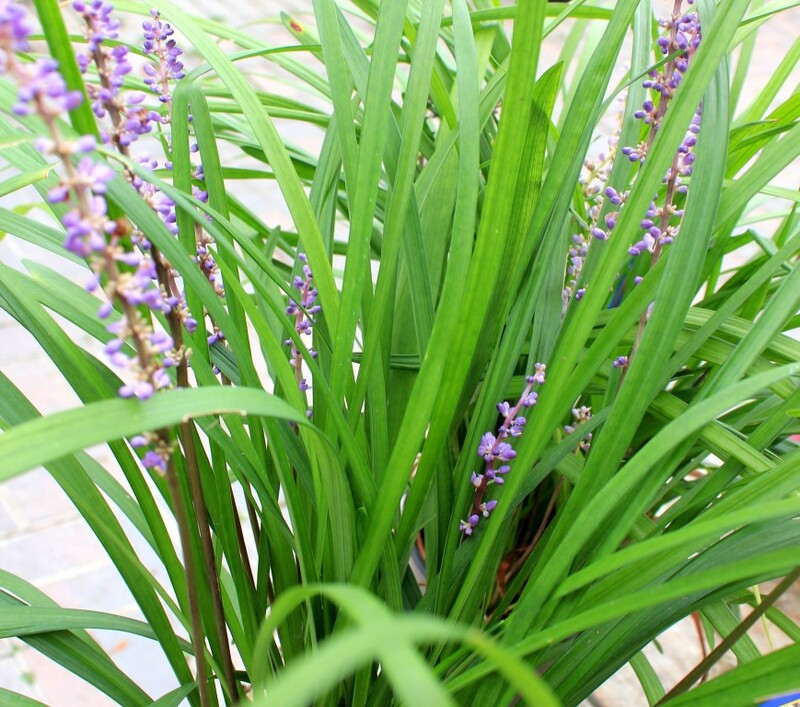 (Liriope muscari ‘Big Blue’) 闊葉麥門冬秋天的花. Variegated lilyturf flowers in fall. 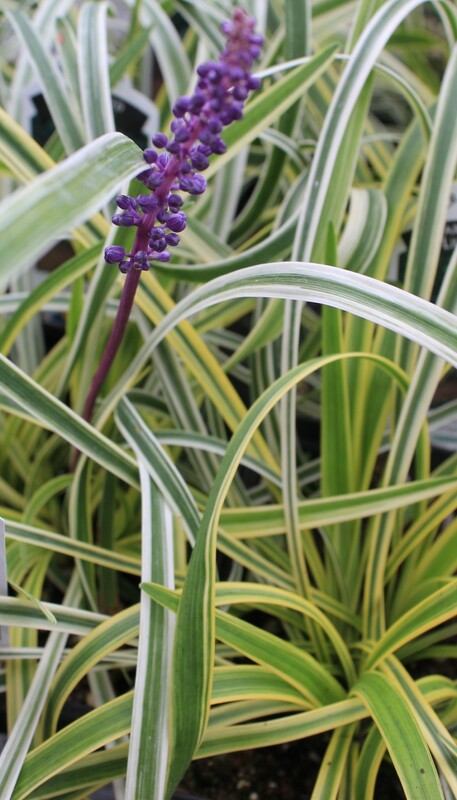 (Liriope muscari ‘Variegata’) 斑葉的闊葉麥門冬秋天的花. 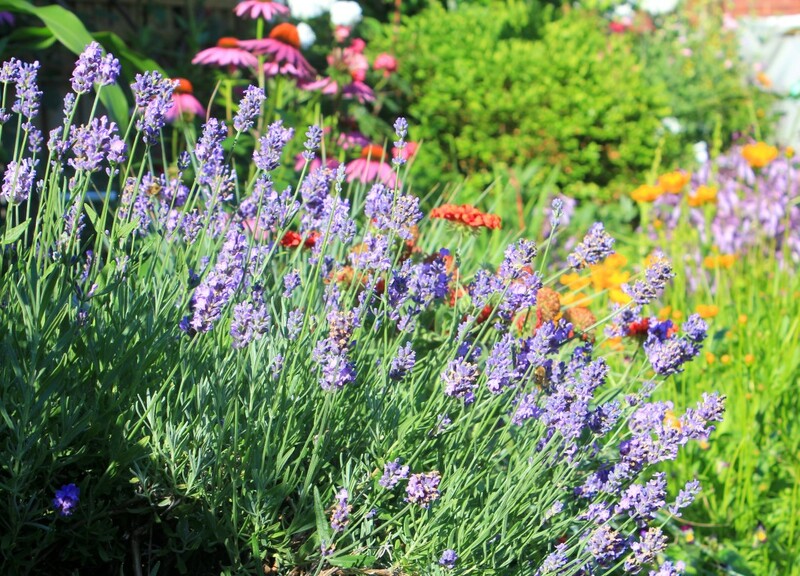 It is a very easy to grow perennial. Its evergreen, grass like leaves is rather attractive and in fall the flower spikes come out with small light blue/mauve, white or deep blue/purple flowers is very nice! This is very hardy plant which tolerant from full sun to full shade, wet or dry soil. Excellent for big area, rock garden, border or woodland garden. 它是很容易栽種的多年生草花. 它的常綠闊葉,草般近乎革質的葉片是蠻好看的且秋天抽出花梗開花時更是美! 小小的花花色有淺藍,白或深藍/紫色. 非常強健容忍不同的環境,光照從全日照到全蔭, 濕到乾的土壤都能存活的很好. 很適合大面積栽種,岩砌花園,花壇邊緣或是森林式的花園. 一年只須於初春時剪草一次. Mature size: 20-40m (H) x 20-30cm (W). USDA Zones:6-9. Easy to propagate by seeds or often by dividing the plant clump in early spring. Its fleshy roots is medicinal. Slow growing. I like the ‘Big Blue’, ‘Royal Purple’ and ‘Variegata’. 成熟植株高:20-40公分,寬幅20-30公分. 容易以種子或分株法來繁殖. 地下的球根是常見的中藥藥材. 植株的生長速度慢. 我喜歡’Big Blue’, ‘Royal Purple’以及’Variegata’這幾個品種.